Pre-Order a Signed Copy of Blood Communion Now! 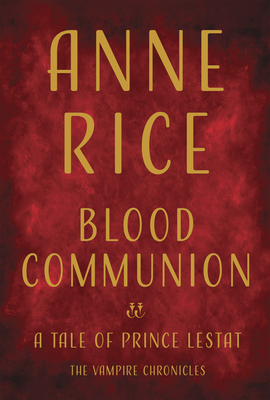 We are excited to announce that we will have signed copies of the latest addition to Anne Rice’s Vampire Chronicles, Blood Communion: A Tale of Prince Lestat upon its release October 2nd. In this novel, we follow Prince Lestat and the story of the Blood Communion as he tells the tale of his coming to rule the vampire world and the eternal struggle to find belonging, a place in the universe for the undead, and how, against his will, he must battle the menacing, seemingly unstoppable force determined to thwart his vision and destroy the entire vampire netherworld. Pre-Order Blood Communion now to ensure you receive a signed copy! Signed copies can be ordered by calling the shop at 504-895-2266 or sending us an email at GDKrewe@aol.com.